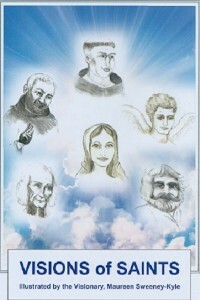 A wonderful booklet containing Holy Love messages from Saints who have visited Maureen Sweeney-Kyle. Includes illustrations by Maureen of each as they have appeared to her. 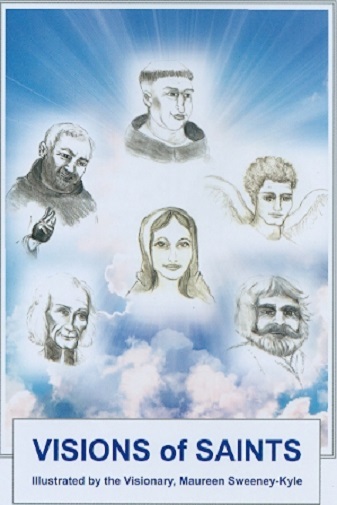 Saints include St. Michael, St. Joseph, St. Peter the Apostle, St. Augustine of Hippo, St. Thomas Aquinas, St. Catherine of Sienna, St. John Mary Vianney (Cure of Ars), St. Martin de Porres, and St. Pio of Pietrelcina (Padre Pio). 55 pages. Booklet measures 5x7 inches.